Jakarta Investment and One-Stop Integrated Service (PMPTSP) Dept. provides an innovation by launching Jakarta One Stop Service (JOSS) application to simplify business licensing procedures.
" 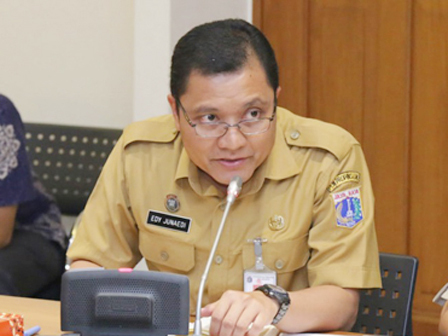 By following those three steps, permission process can be done in 30 minutes"
"We introduce this application as the way to accelerate EoDB ranking improvement, especially for starting a business indicator," mentioned Edy Junaedi, Head of Jakarta PMPTSP Dept., Monday (3/19). By using this system, he explained, business permission applicant is only need to visit pelayanan.jakarta.go.id website in order to find JOSS applications. Then applicant should follow instructions to download documents, tag a location, and fill the disclaimers. "By following those three steps, permission process can be done in 30 minutes," he stated. According to him, JOSS application is an innovation to replace Business Permission (SIUP) and Company Registration Certificate (TDP) online services. Despite using electronic system, applicants are still need to go to the nearest PMPTSP Dept. office to take printed SIUP and TDP. "Applicant data requirements can be uploaded in one application. Thus document can be issued in form of digital signature," he said.